I was perusing Retrontario's YouTube channel when I stumbled upon this commercial for the E.T. video game Atari promoted heavily back in 1982. Back then, I had an Atari 2600 clone called the Gemini (not my award) but I never found E.T. under the tree in '82. Looks like I dodged a bullet there. Negotiations to secure the rights to make the game ended in late July 1982, giving Warshaw only five weeks to develop the game in time for the 1982 Christmas season. The end result is often cited as one of the worst video games released and was one of the biggest commercial failures in video gaming history. E.T. is frequently cited as a contributing factor to Atari's massive financial losses during 1983 and 1984. 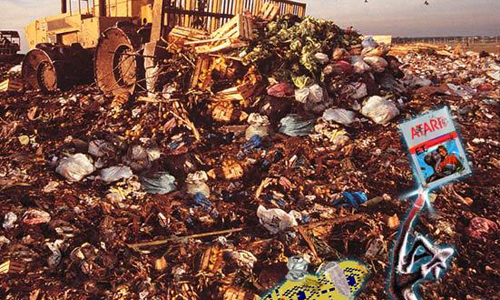 As a result of overproduction and returns, millions of unsold cartridges were buried in an Alamogordo, New Mexico landfill. The game's commercial failure and resulting effects on Atari are frequently cited as a contributing factor to the video game industry crash of 1983. We had it LOL I can't remember much more than what the commercial showed, but I know we had it. That, and Platoon, which routine scared the snot out of me. We had that too (I guess I should say have...I still have my functioning Atari with 20 or so games). But ET was terrible. I won't harp on the graphics...they were all bad. But the story was terrible - it made little to no sense. This is weird. About an hour before you posted this, I was googling for ET Video Game. I had just watched the film with my kids and wanted to see what, if any, games were available for them. I quickly learned it wasn't worth the search.